Globalization has opened the world up like never before, connecting far-flung places through communication and transportation. 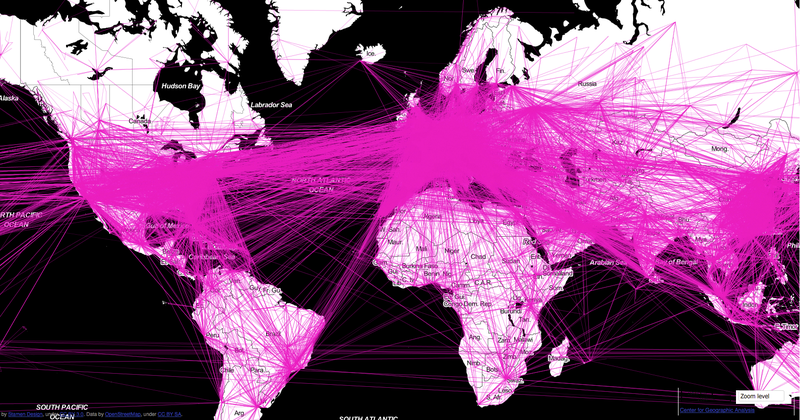 We feel its impact through experience, but what does the big picture look like? 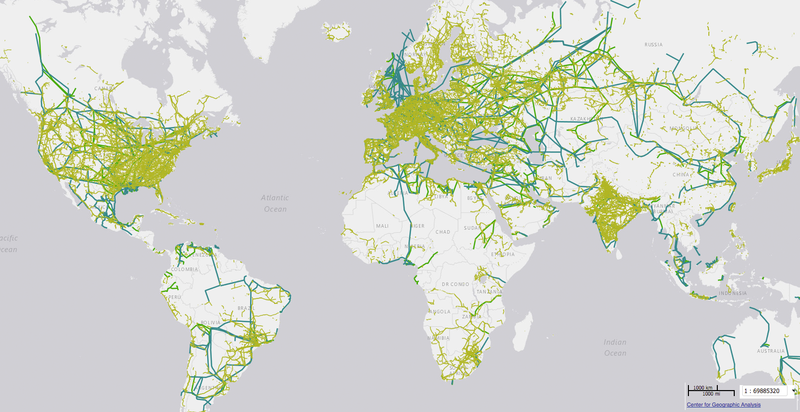 The Exploring the World of Connectography map shows the railways, pipelines, canals and telecommunication lines that, some would argue, have helped to divide the land more drastically than state boundaries. 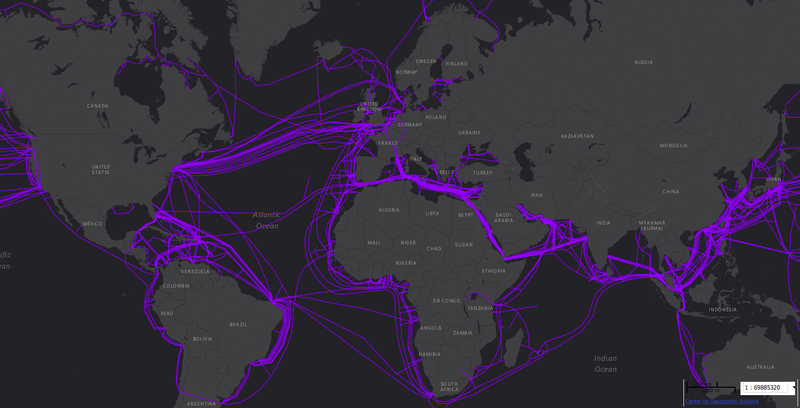 The interactive map builds on the global infrastructure networks described in Parag Khanna's book, Connectography - Mapping the Future of Global Civilization, and delves into three main areas: transportation, energy and communication. Each topic can be isolated and explored through filters in the map's sidebar, and even features prospective infrastructure, such as proposed high-speed rail lines. "Human society is undergoing a fundamental transformation by which functional infrastructure tells us more about how the world works than political borders," Khanna, a senior research fellow in the Centre on Asia and Globalization at the National University of Singapore, writes in his book. 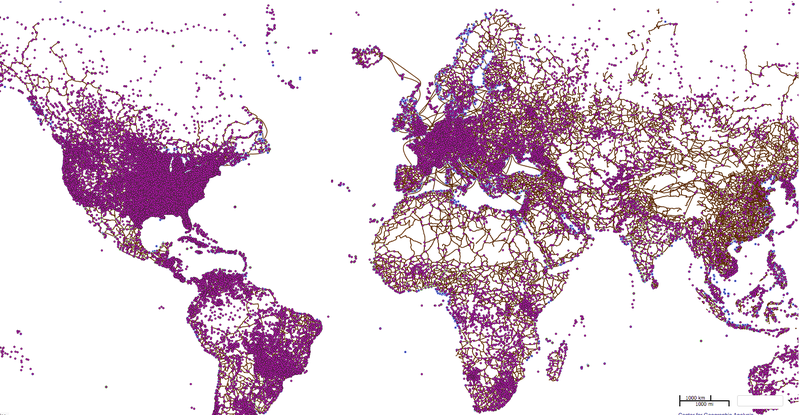 "Connectivity is a major driver of the deep shift toward a more complex global system. Economies are more integrated, populations are more mobile, the cyber domain is merging with physical reality, and climate change is forcing seismic adjustments on our way of life." 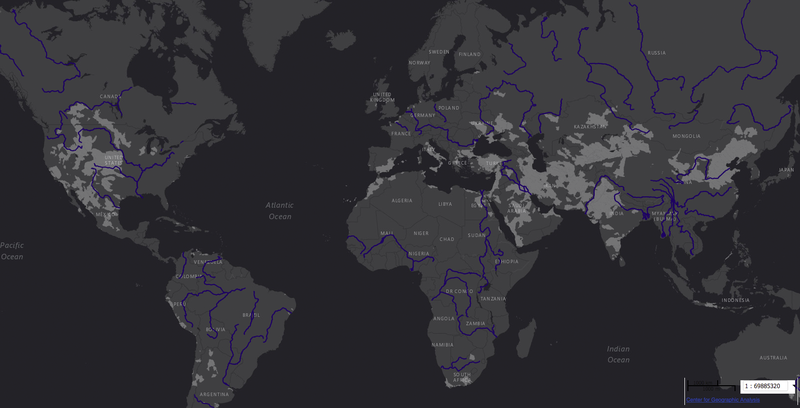 Made in partnership with Jeffrey Blossom, a senior GIS specialist at Harvard University's Center for Geographic Analysis, the map also features multiple background options, from satellite imagery to OpenStreetMap. See samples of the map's customizable features below.